Since the year 2007, we have been visiting known and unknown spooky places to prove whether those places haunted or not including historical sites, cemetaries, houses, We look for logical/scientific proof of reported paranormal activity and when we are left with something inexplicable, we present it as paranormal. Fargo Ghost Chasers consists of a team of dedicated investigators who bring professionalism, personality, and confidentiality to each case we investigate. We understand that it is tough to call someone like us, and we respect your right to privacy. Some of our investigators have lived with paranormal activity and can identify with others who may be dealing with the same situation. Our goal is to document, and hopefully someday, scientifically prove the existence of the paranormal. We take what we do seriously, and are here to assist people who are experiencing unusual, frightening, or unexplained events. When you contact us, you can expect to meet a professional team who will respect your privacy, as well as understand the fact that you may be frightened and confused. We will listen to your experiences and concerns to determine the best course of action to help you. If we feel an investigation is needed, we will work with your schedule to determine the best method and time to set up equipment and begin trying to recreate personal experiences in an attempt to find good evidence either for or against paranormal activity. We will analyze all of our findings then present them to you at your convenience. We will then help you to understand the nature of the problem and supply you with information to understand what is happening and what steps you should take next. Fargo Ghost Chasers hopes that through scientific research and a common sense approach, we can achieve a better understanding of inexplicable events. All findings presented to our clients and we offer 100% confidentialty. We make every attempt to identify and explain everything we find that is questionable. We only present to our clients what cannot be explained by natural or man-made occurrences. Our Team feels that skepticism, common sense and an open mind is essential when researching and investigating the paranormal and that all reasonable explanations should be ruled out prior to declaring an experience to be paranormal in nature. Methodology includes scientific investigation using multiple data recording instruments and background research on specific locations. Our group approaches each investigation with a skeptical attitude about if the location is haunted. 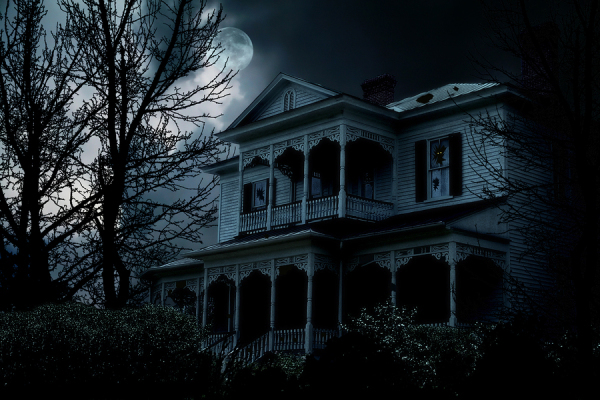 We rely on evidence and research to make our determinations about if a location is or is not haunted. Note: We DO NOT charge for our services.